Product prices and availability are accurate as of 2019-04-11 17:19:16 EDT and are subject to change. Any price and availability information displayed on http://www.amazon.com/ at the time of purchase will apply to the purchase of this product. 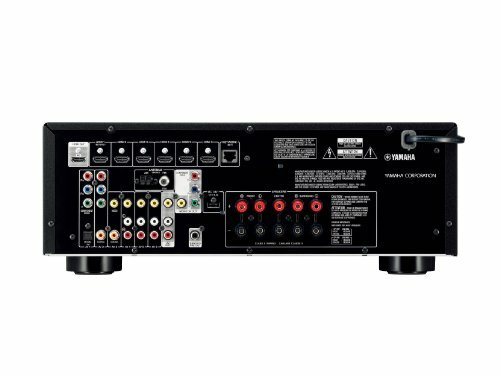 This 5.1 channel Network AV Receiver is ready for AirPlay and music streaming services. High quality sound comes from fully discrete amplification and supports high-resolution audio playback. Extra Bass function provides rich bass reproduction, even with smaller speakers.